I had a couple of old backsplash pieces that we used to imitate the quartz which allowed me to start building the actual mantel. 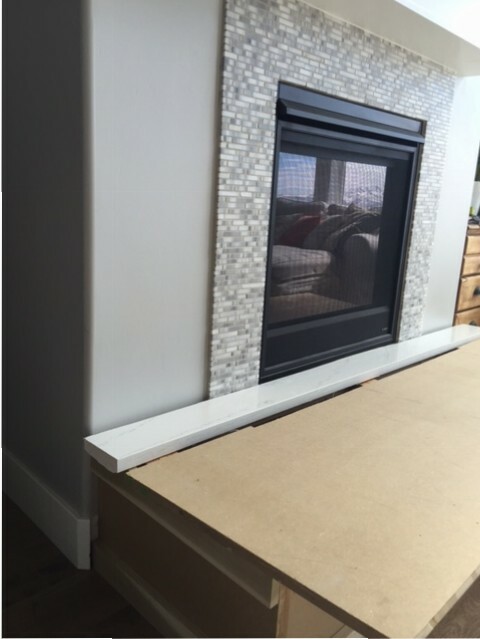 The mantel is almost done now but won’t be able to be completely finished until the hearth top is installed. I will post about the mantel in Part 2, stay tuned! See the other parts of this mantel makeover!